Following 35 days of uncertainty and bitterness, Washington DC was released from the grips of the longest government shutdown in United States history. 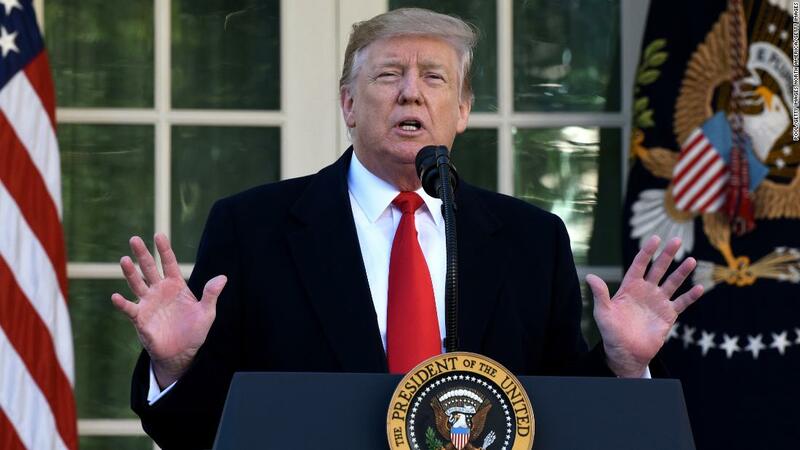 The news broke Friday afternoon when President Donald Trump made a surprise announcement from the White House Rose Garden that the administration and leading congressional officials had finally come to an agreement that would reopen the sizable closed sectors of the federal government. The nation could breathe a hair more easily – at least for the moment. The measures agreed upon by key government officials would represent only a stopgap, allowing vast swaths of federal workers to return to their jobs and the payment of their bills, for three short weeks. Initially, the historic shutdown began when negotiations on repeated continuing budget resolutions pertaining to sectors of the government including National Security and Border and Customs came to a standstill. Realizing that the Democrats would not have the votes in the 116th Congress to override the presidential veto, the White House resolved to veto any budget bill not containing funding for his most notable campaign promise – the wall. Despite the tentative nature of the current solution, it represents a key good-faith gesture on behalf of the president. During the specified three-week timeframe, it is expected that both sides will return to the negotiating table to hash out a final budget resolution that includes increased funding for security features at the US-Mexico Border – and possibly President Trump’s wall – or else. “If we don’t get a fair deal from Congress, the government will either shut down on February 15 again, or I will use the powers afforded to me under the laws and the Constitution of the United States to address this emergency… We will have great security,” said President Trump. The official declaration of a State of Emergency would grant the Executive ultimate authority in using the United States Armed Forces, and several billions of dollars, to shore up the border as he sees fit without congressional approval. Regardless of the controversial and incredibly loaded nature of the solution, it does represent a step in the right direction according to many UMass Lowell’s students and student leaders. “I think it’s a welcome development. I had said that the standoff showed a bad precedent for leadership, but this is a good precedent. Let the government figure out this situation on their own time without hurting the citizens it aims to protect,” said Vilma Okey-ewurum, Vice President of the UMass Lowell Student Government Association. Though Okey-ewurum made clear her own personal thoughts that much of the blame for the shutdown should fall, “Squarely on the shoulders of the president,” she expressed that she was, more than anything, disappointed in the highest-ranking elected officials for their disregard for the will and well-being of the people and increased service to their own egos in recent months. Okey-ewurum was joined in her lamentation over the increasing partisanship and boorishness within the nation’s leadership on both sides of the aisle by SGA President Andre DiFilippo. “It’s just a bad reflection on the people we’re trusting to figure these things out. I think there could be concessions on both sides… We can debate the wall. We’re going to have disagreements, but the pettiness and the back-and-forth is just a bad example,” said DiFilippo. Even the President of UMass Lowell College Democrats, sophomore Julie Lawton, agreed that concessions would need to be made. Lawton did, however, hold that some matters were simply going to be non-starters. “A wall is unethical. We don’t want the symbol of immigration in this country to be a concrete wall but things like the Statue of Liberty… Something more immigrant-friendly,” said Lawton. The disappointing and ineffective nature of the petty partisan politics coming out of Washington. Senior nutritional science student Patrick Sullivan was of the mind that it was a much-needed simplicity and humanity that congressional leadership was leaving out of the process.